More than 10,000 children in Turkana have dropped out of school due to hunger. Education Secretary Kiragu wa Magochi said lack of food in schools had made the children stop attending lessons. “We are working on an integrated approach with other ministries to encourage more children, especially in northern Kenya, to go to school. We cannot allow children to miss school because of hunger,” said Mr Magochi. He was addressing the launch of Modelling Integrated Nomadic Education and Child-Friendly Schools at Kanam Kemer Primary School in Turkana Central on Tuesday. 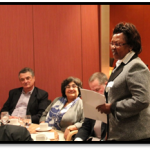 Area leaders urged the World Food Programme to continue providing relief food to satellite schools. [caption id="attachment_197" align="alignright" width="360"] A school feeding programme in a school in Turkana. [/caption] “I went to school because of food. Schools with food attract children in arid and semi-arid areas like Turkana,” said area MP John Lodepe. Women’s Representative Joyce Emanikor noted that school feeding programme “is an obvious pull factor in education sector”. Mr Lodepe urged the national government to appeal to WFP to resume the satellite early childhood development centres. County director of education Nicodemus Anyang said school enrolment had dropped from 130,000 in 2013 to 118,000 this year after withdrawal of the school feeding programme. According to UNICEF Country Representative Kanyankore Marcel Rudasingwa, by the end of 2015, the children will equitably access water ,sanitation and hygiene, components of child friendly schools, enhanced communication for development and solar lighting. 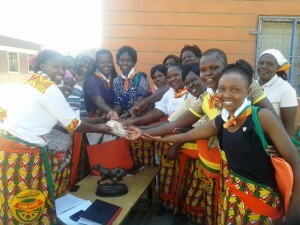 The project is financed by Department for International Development (DFID-UK) in Kenya at a cost of 3,638,152 pounds. Also present during the launch was Chairperson Education Parliamentary Committee Ms. Sabina Chege and Turkana Women’s Representative Joyce Emanikor. 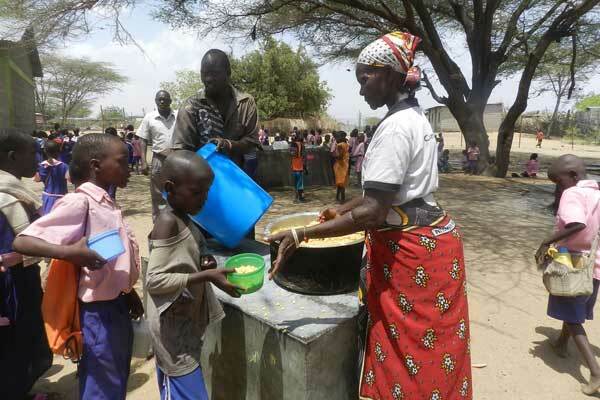 Turkana Central MP John Lodepe and County Deputy Governor Peter Lokoel said that food is what is keeping children at school.